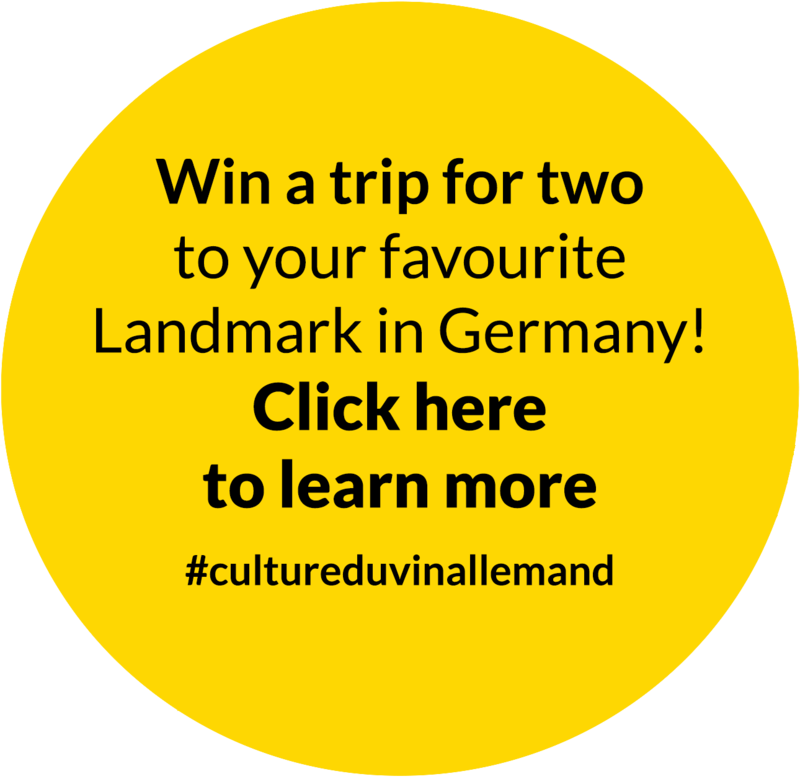 Since 2010, the German Wine Institute has awarded prizes to “Landmarks of Wine Culture”: places which are documenting the history and tradition of wine growing in an impressive way. The exposition is a gift to Montreal and Canada, for the 375th anniversary of the city and 150th anniversary of confederation. 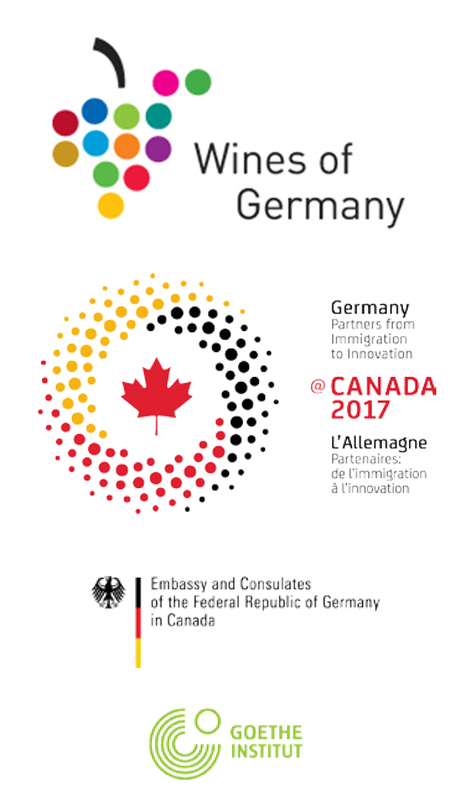 It presents 13 images of wine culture representing each of Germany’s 13 wine regions. “Vision Requires Space,” proclaimed the 90 winegrowing families of Franken’s oldest winegrowing cooperative. And through “Weinreich” (World of Wine) in the lower Franconian town of Sommerach, that vision has become a reality. 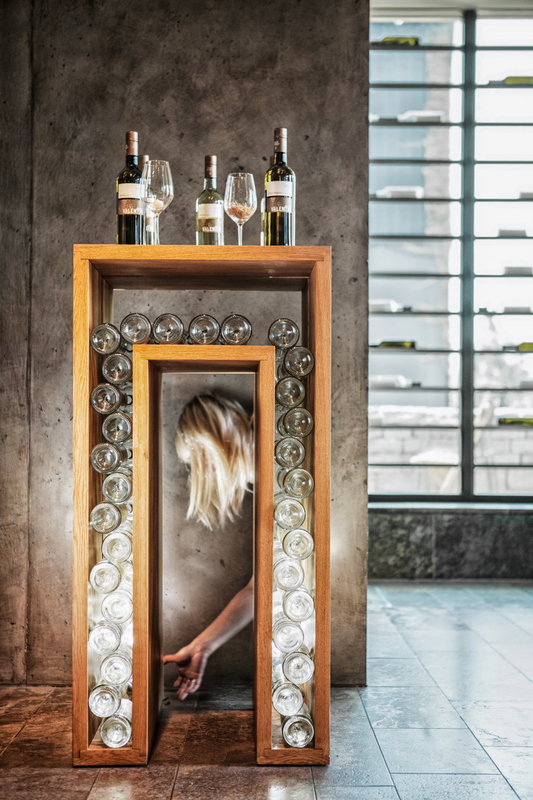 As a collective, the Sommerach winemakers believe in combining respect for tradition with an innovative spirit. This philosophical blend is not limited to the wines they produce year in and year out, but is reflected in the redesign of their meeting house as well. 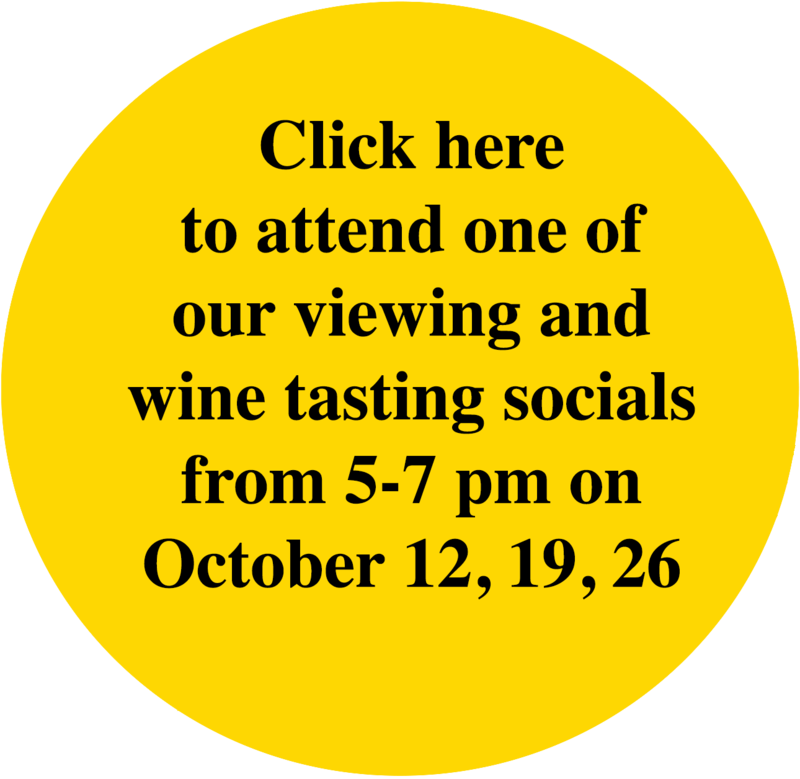 The tasting room on the ground floor is young, modern and hip. The ‘Kostbar’ and its staff serve up Franken classics alongside more international varieties. 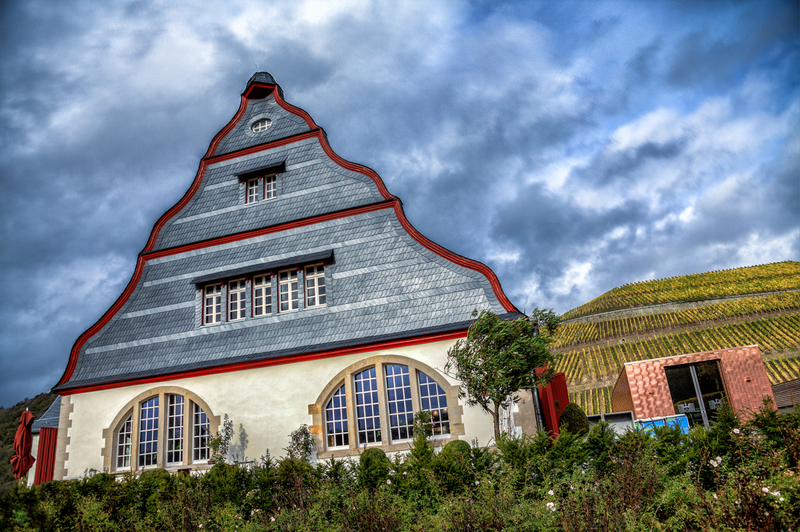 In 2004, the Estate Weingut Kloster Marienthal was founded and provides an atmospheric backdrop for concerts, festivals, tastings and other events. Success! 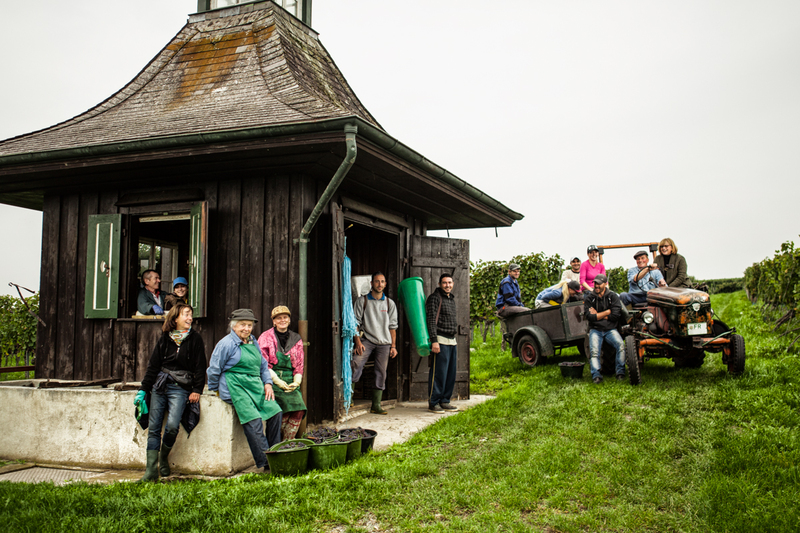 Tired but satisfied, the winegrowers and their hard working harvest team meet at the old vineyard hut. The grapes they have harvested will be used to make fine Kaiserstuhl wine – grown on the Ihringer Winklerberg. This is Germany’s warmest vineyard site with a microclimate that ranges into the subtropical. Loess soil created during the ice age, sits atop weathered lava rocks from a volcano that quieted some 15 million years ago. Yet the hill is more renowned for the wines from the vines that thrive in its soils – at least since 962 and probably even earlier since it is likely that the Romans planted the first vines in this fertile soil. Nature and wine of the highest quality – that is the motto of the signposted path through the Volcanic Rock Garden that opened on Winklerberg in October 2006. 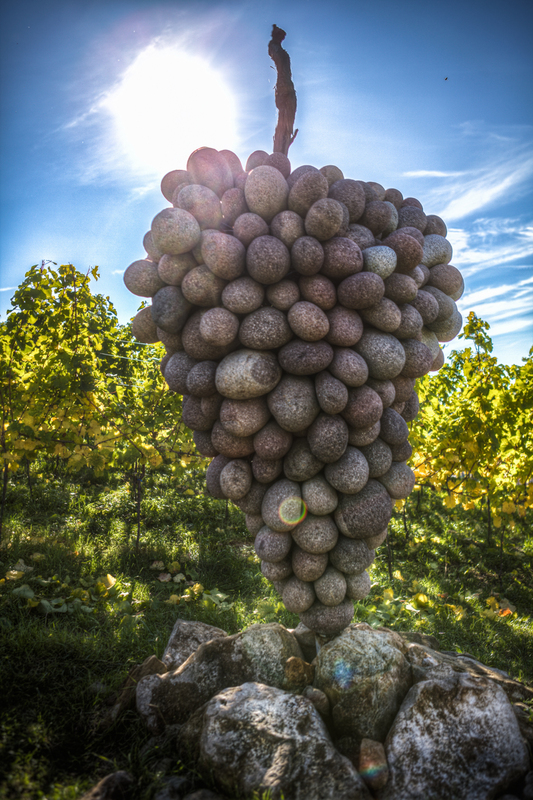 Along the experiential path running through the hillside vineyards of Heppenheim in the Hessische Bergstrasse you will find a granite-and-porphyry grape monument titled “The Genesis of King Riesling”. Artist Adolf Mayer from Tramin seeks to remind visitors that the king of German grapes actually derives from another, older grape: the Red Riesling. Widespread in medieval times, Red Riesling was restored by researchers at the University of Geisenheim In 1996 the first “pilot vines” were planted in Heppenheim, now the world’s largest source of Red Riesling vines. Finished in 2007, the seven kilometer “Wein und Stein” experiential path features 70 stations teaching visitors about the cultural history of wine. This city honours the ancient God of Bacchus in its name. The ancient god of wine left his mark on this city as on no other place. 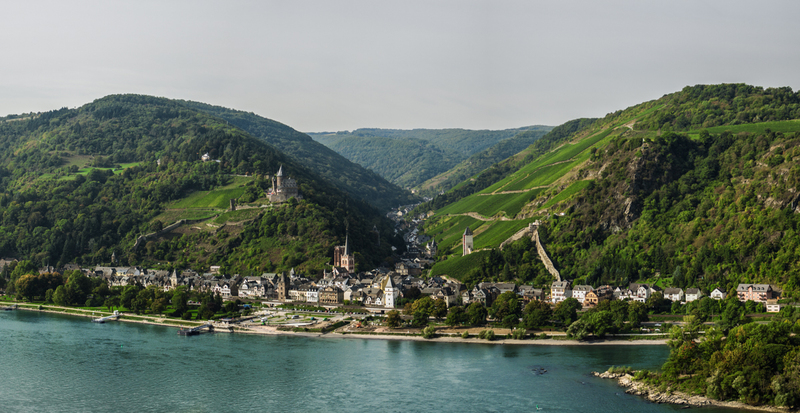 In the Middle Ages, Bacharach was one of the most important trading centres for wine. During the 19th century Romantic period, the small village of Bacharach in the heart of the Middle Rhine Valley was thought to be one of the most beautiful places on earth. Thus it is not surprising that in 2002 the Middle Rhine Valley became part of the World Heritage List of UNESCO. There’s no steeper slope even along the Mosel: With a gradient of up to 60 percent, the Calmont is the steepest sloped vineyard in all Europe. The jagged and steep rock slopes mean hard work to the wine makers, enabling only hand work on the slopes – up to 1800 hours per hectare. The grapes have to be brought down to the carts on the men’s backs. From the 1990s on, a single-tracked rack railway eased the pain of the work, that railway being a piece of wine culture in itself well worth seeing. Nevertheless, work remains hard up in the steep slopes, and because of that, today only 13 hectares of the 22 hectares of vineyard space are still stocked with grapevines. These hills are now used to make fine wine, but once they were prized for the semi-precious metals beneath them. 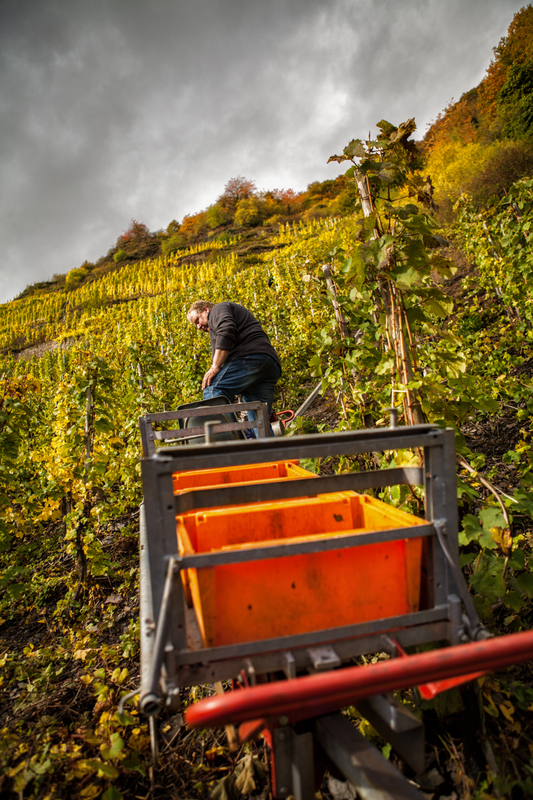 Before the first Riesling was planted here in 1903, the cliffs had to be exploded off the steep, rutted terrain and 3.5 million cubic feet of soil had to be cleared away by hand! Eight years later the weathered, mineral-rich volcanic soil, notable for its significant slate composition, produced its first attention-grabbing vintage. The estate winery Gut Hermannsberg grows Riesling on the terraced vineyards of the Schlossböckelheimer Kupfergrube. 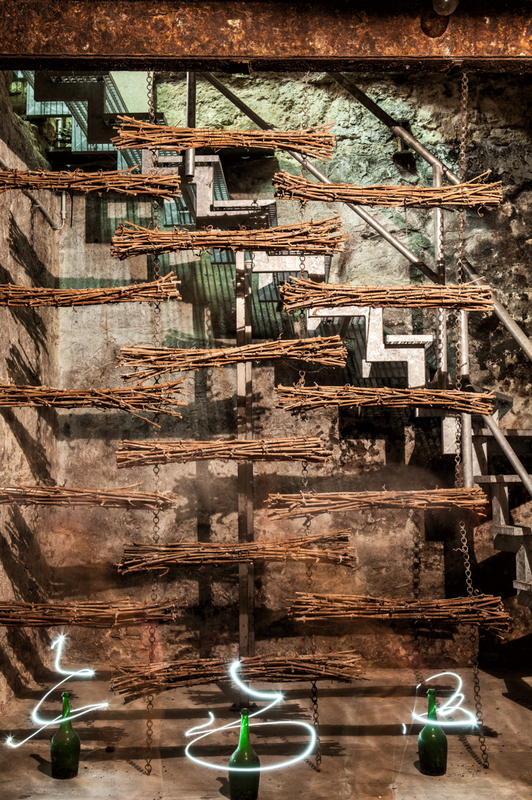 Cellar Master Karsten Peter ferments the fruit behind the copper facade of the winery building, using only the vineyard’s wild yeast to produce the estate’s Grosse Gewächs wines. 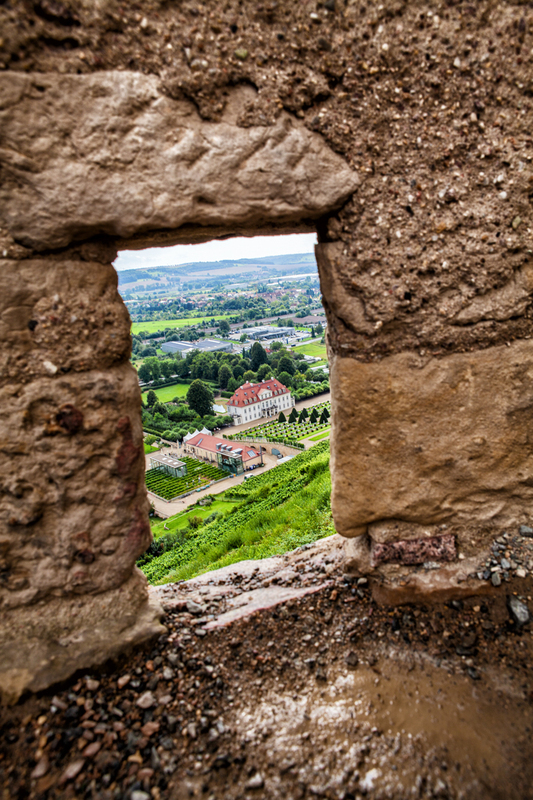 For Deidesheim winemakers, staying true to traditions also means not shying away from treading new paths. In the mid-19th century, Deidesheim vintners pioneered the process of harvest selection which resulted in international acclaim for Deidesheimer Rieslings. In 1802, the pretty little town on the east edge of the Haardt region was the site of the first Qualitatswein production in the Pfalz when winery owner Andreas Jordan named his wines based on variety and site. 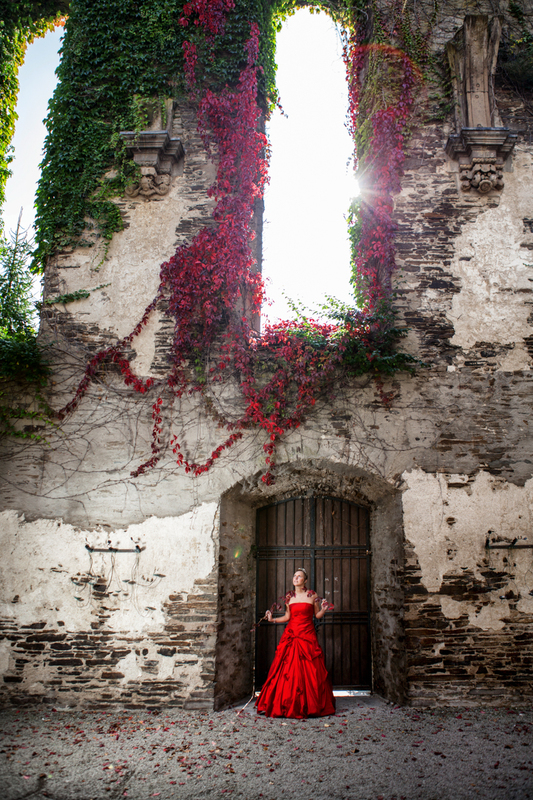 The Deidesheim custom of placing bundled vines within the old vaulted cellars can be seen in this artistic display of vines at the Bassermann-Jordan winery. This custom serves as a reminder to all that the vineyard is where everything truly begins. No other building in the area symbolizes centuries of wine making as the Monastery of Eberbach near the village of Eltville. In 1136, thirteen monks first set foot into this remote Rheingau Valley and brought with them Pinot Noir vines imported from Burgundy. Ebersbach soon grew to be one of the biggest and most important cloisters in Germany, also thanks to its wine. Pinot Noir became the first successful wine export from the Rheingau. 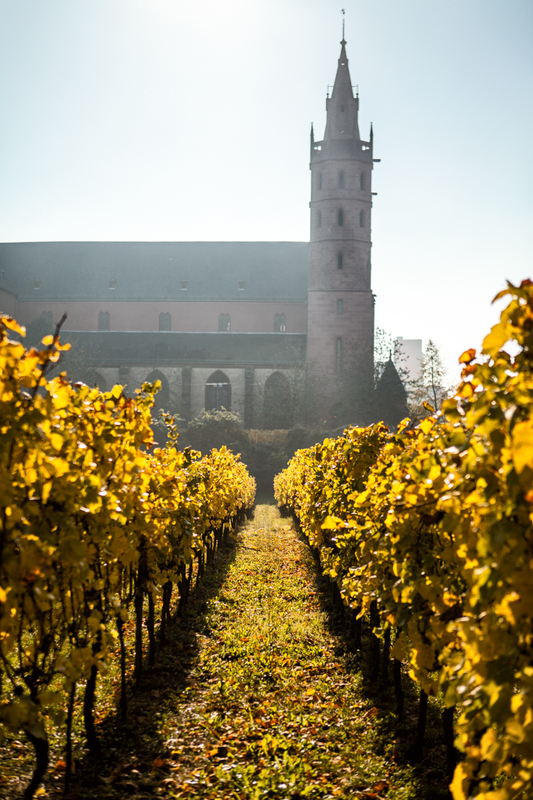 Since monks were free of toll charges along the Rhine they dominated the wine trade all the way down the river to Cologne, a very profitable business. With 220 hectares of vineyards, the Eberbach estate is the largest wine growing company in Germany. In Medieval Ages, the monks already cultivated grapevines here. Right between the vineyards, however, the Catholic parish church of Liebfrauen rose – a small gothic basilica that seemed to have sprung right from a textbook with its twin tower facade, its portal adorned by stone-carved figures and its beautiful aisle in the choir. The German viticultural law of 1971 defined a Liebfraumilch simply as a sweet white wine containing at least 70 percent of Riesling grapes from the areas of Nahe, Palatinate, Rheingau and Rheinhessen. One of the most famous hallmarks of the Saale-Unstrut winegrowing region are the many vineyard huts visible on the hillside vineyards and steep terraces of the riverbank. Most are no more than small utility sheds formerly used by winegrowers to store their tools, eat a meal or take shelter against the wind and rain of a harsh day. Others also served as cozy weekend houses – and a few as luxurious summer residences for celebrating wine drenched debauchery. The most famous of these is perhaps the Toskanaschlösschen (Tuscany Manor) with its brick-red stucco and white window panes and mouldings. 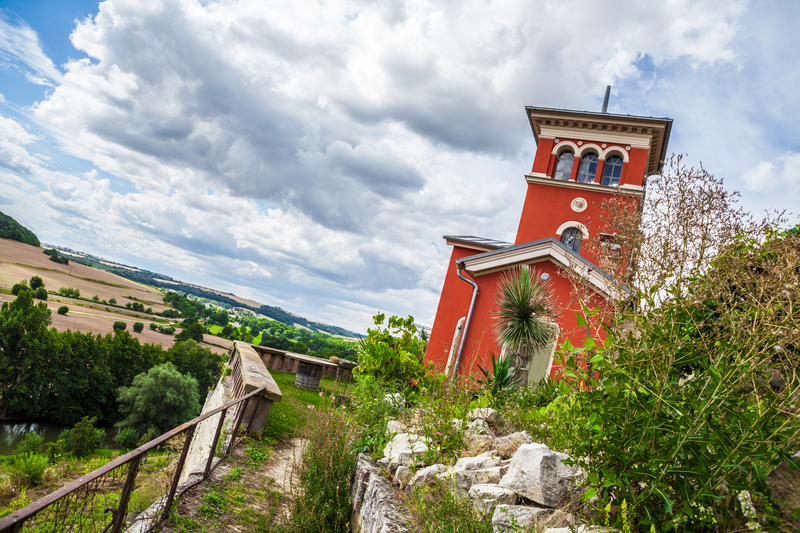 From its lookout tower visitors enjoy a fantastic view over the vineyards of the Schweigenberg, including its stone walls and countless stairs – as well as the Unstrut Valley. Castle Wackerbarth has been well renowned far beyond the borders of Saxony for its premium wines as well as for its first-class sparkling wines. Being the inheritors of the traditional brand name of Bussard Champagnes, Wackerbarth is considered to be the oldest sparkling wine manufacturer in Saxony – and the second oldest in all of Germany. Modernization and quality production is the utmost focus of the owners, as is demonstrated by the new estate building with its huge and highly modern cellars underneath, opened in 2002. 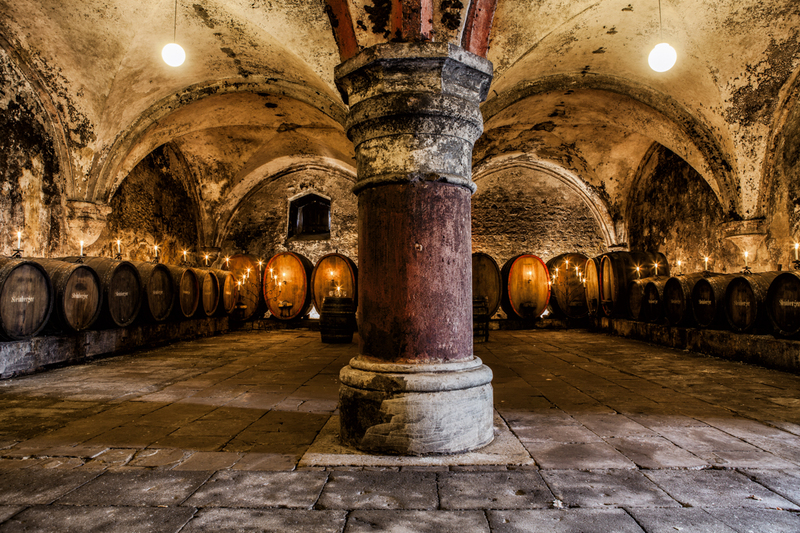 Castle Wackerbarth is the first wine estate theme park in Europe and offers modern wine seminars and events behind its old Baroque façade. Naked save for a giant fig leaf, the wooden figure of Bacchus appears to have already had more than enough wine. And yet, the empty goblet in each hand suggests he’s still in the mood for more. The original sculpture served as a “Fassriegel”- a locking mechanism common in barrels of 1000 litres and more. 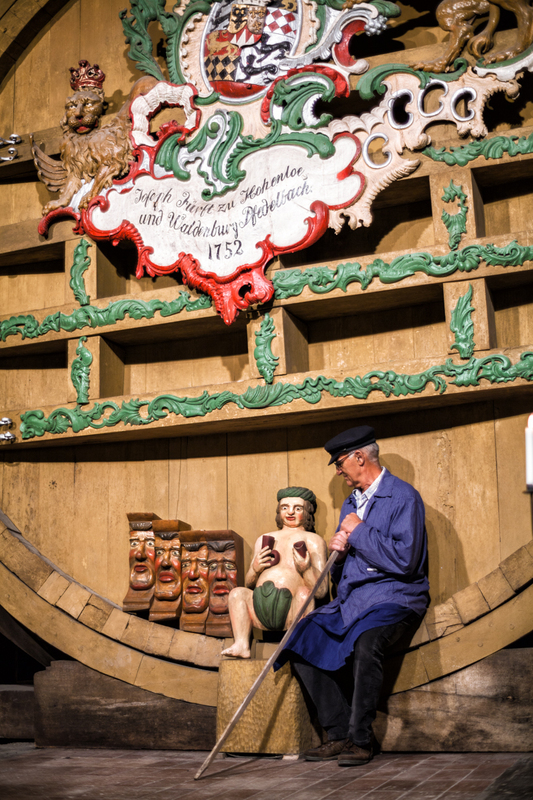 66,664 liters of wine fit into the Fürstenfass (Prince’s Barrel), now housed in the winemaking museum of Pfedelbach in the heart of the Hohenloher Land. The Fürstenfass was intended for Zehntwein, wine collected as taxes and then typically used to pay the officials serving the prince. It saw its final wine tithe in 1822.